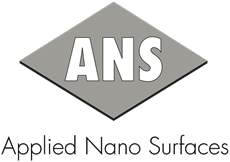 We are very proud to announce that Applied Nano Surfaces (ANS) and Bodycote have signed a license agreement enabling Bodycote to offer both ANS’ Tricolit® low friction coatings as stand-alone products and in a vast range of combinations with Bodycote’s ordinary offerings. As a part of the license agreement, ANS will support Bodycote with our core competence in tribology and high performance Tricolit® products. Bodycote will support ANS with access to a global sales force, a large customer base and a ready infrastructure for applying Tricolit® for existing and new customers. The partnership will also grant the opportunity to combine ANS’ Tricolit® with Bodycote’s broad portfolio of heat and surface treatments (TP&C). Extensive testing of combined Tricolit and TP&C treatments has shown great improvements in friction, wear and corrosion. In some cases the friction was reduced by up to five times and the corrosion resistance improved by a factor of ten. By sharing competence and application knowledge between ANS and Bodycote, we are now able to guide our customers to the best solution for their particular purposes. Read more about ANS Tricolit® here.